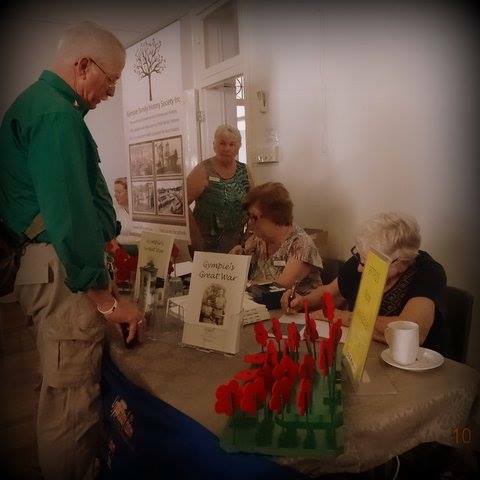 1916 Gympie’s Great War was proudly produced through a grant received. The Great War and the impact on our area is being researched by members of our Society with the view to compile a series of books. The 1916 book continues on the information of the enlistments, letters home, weddings and deaths as the Great War that was supposed “to be over by Christmas” continues. We are very proud of our series and we hope you like them as well. If you have details or photos on anyone from the missing photo list – please share them with us so we can update our records and keep their story alive. Please contact Robyn Dahl or Di Woodstock at the GFHS. There are so many enlistments in 1916 we have had to split it into 2 parts. We currently have 1914, 2 parts of 1915 and 2 parts of 1916 available for purchase. If you are interested please click the Order Book 1916 button and email your details to us. Do you know any of these people listed? Do you have a photo of them? 1916 Missing photos – Although we have photos of many of the Servicemen who enlisted during 1916 in the area, we are still missing some. We would love to have a visual record for everyone if possible. Can you help? If so, please contact us using the ‘Diggers Contact Form’ below. John was born in Gympie and attended at Gympie State School. 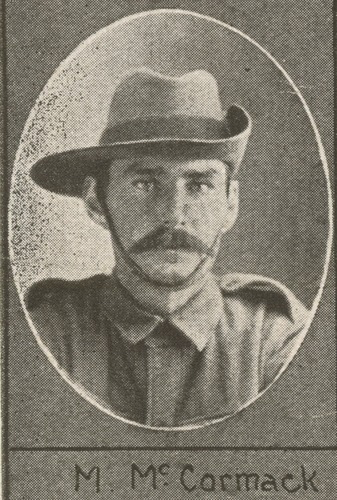 He was a miner living at Ruby Vale Qld, when he enlisted in Rockhampton. 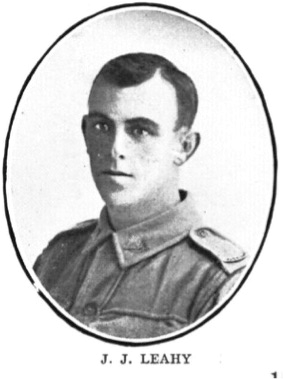 His posting was to 47th Battalion and he embarked from Brisbane on HMAT A46 CLAN MACGILLIVRAY 1 May 1916. He joined his unit in France 7 Oct 1916. During a battle on 16 Jun 1917 he was wounded with gunshot wounds to his leg and abdomen. He died of these wounds at 53rd Casualty Clearing Station. His father Cornelius was deceased, and his mother had a long series of letters to obtain details of her sons’ death and to obtain his personal effects. He is buried in Bailleul Communal Extension Plot 111 Row C Grave no 215. He is remembered on the AWM Roll of Honour Panel no 144..
Malachy was the son of Mary and Jeremiah McCORMACK who lived on Cootharaba Hill. He was born 16 Jul 1895. He was posted to 15th Battalion and with his unit he embarked HMAT A49 SEANG CHOON 4 May 1916. On 26 Sept he was wounded in action. He suffered a shell wound to his right forearm in a battle at Polygon Wood. He returned to France and 6 May 1918 he was transferred to 4th Machine Gun Battalion. He had some hospital stays with trench foot. His mother Mary had read in the paper that he had died of wounds and would have been relieved to hear that her red-haired boy was still alive. He returned to Australia 12 May and worked as a labourer in Marian, near Mackay, Stirling Crossing and Pomona. He died in 1971 in Brisbane. “This is not an official publication of the State of Queensland. The material contained in this publication does not represent the views of Hon Annastacia Palaszczuk, Premier and Minister for Trade or Queensland Government policy. The State of Queensland makes no statements, representations or warranties in relation to the information in this publication (including the accuracy, completeness, reliability, currency, or suitability for any particular purpose).